Here's a very special episode of Apologize to the Podcast! 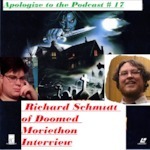 Tyler got a chance to interview Richard of Doomed Moviethon, Author of Giallo Meltdown (a Book you all need to own! 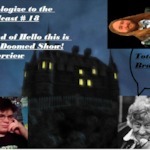 ), and co host of the Wonderful podcast, Hello! This the Doomed Show.